The Battle of Mons was the first confrontation between British and German forces on the Western Front. The British Expeditionary Forces moved into the small mining town of Mons, just inside the Belgian border. The French and British were quickly outnumbered. 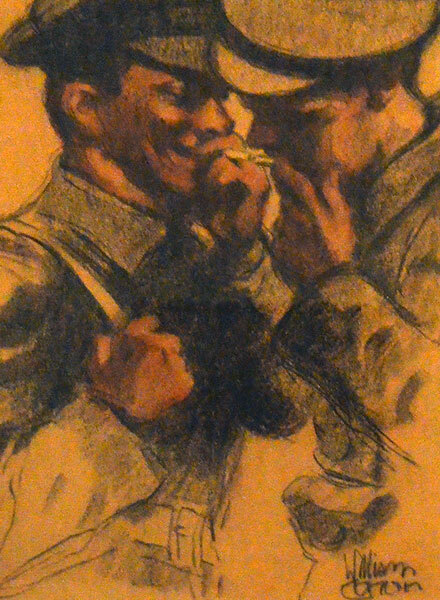 The 2nd Royal Irish fought against a large force from German XI corps and under fierce fire they assisted their 8th infantry brigade to retire. The battle saw great bravery and heavy losses on the part of the Irish regiments. Lieutenant Maurice James Dease of 4th Battalion Royal Fusiliers won a Victoria Cross posthumously for refusing to leave his post under the German attack. 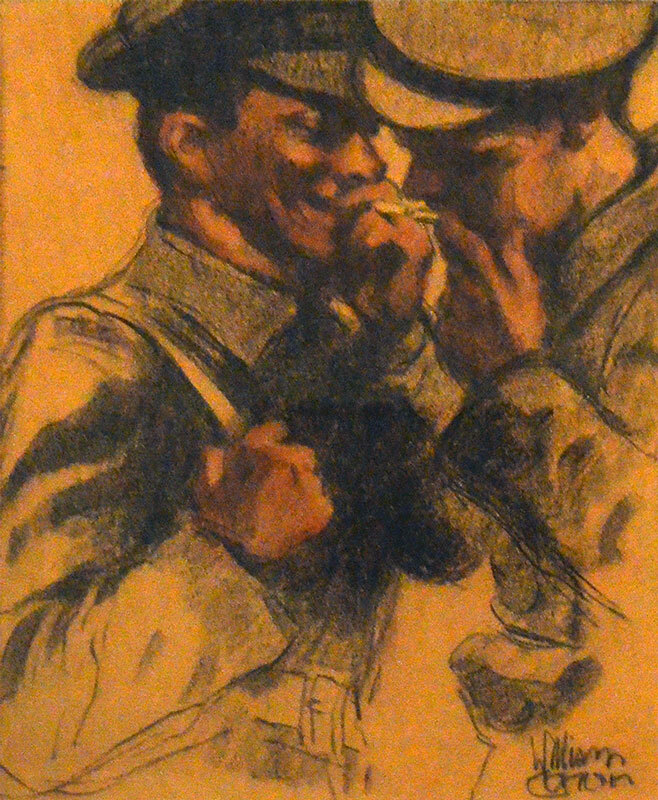 William Conor, Belfast-born WWI war artist, drawing of RIR soldiers smoking.